The message was unexpected but instantly recognizable. A voice resonated from a distance and somehow from within. Against all earthly logic, it carried a divine command. And five very different people knew they were summoned to obey. Obey they did—but these weren’t grandiose actions designed to call attention to themselves. Only later did they see a pattern emerge - one that linked their tasks together and began to challenge the cultural direction of the nation. One small personal response linked with others and made a difference. And their affirmation of everyday hope captures the attention of millions. Can we really believe that God speaks to people today? Davis Bunn’s new book, The Turning, proposes that very question. Five different people sense God’s calling on their life and actions, and they take the turning. Rather than continue with their placid, day-to-day existence, they take the first small step in obedience, and then they embark upon a journey they could not have predicted. I was amazed at how Bunn balanced the disparate elements in this story—unique individuals each with their own situation—and how they became pieces of one grand story in my mind as I read. There was a temporary jolt as, in beginning chapters, we jumped from one individual to another, but Bunn wove one tapestry of these individual threads before I realized what was happening. Davis Bunn always seems to have a finger on the pulse of the times; he senses the zeitgeist and clearly shows how the gospel message relates to this moment. Davis Bunn’s message in the midst of today’s milieu is my favorite element of the book. He reminds, underscores, affirms for us that Hope is not dead. I received a complimentary copy of The Turning from River North Fiction in exchange for my honest review. Video trailer for THE TURNING, by best-selling author, DavisBunn. 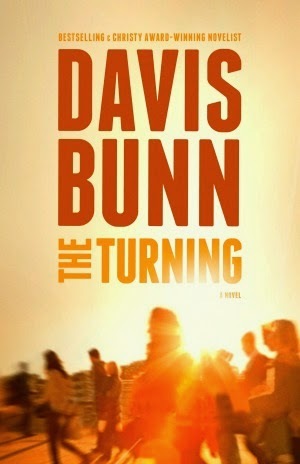 Davis Bunn talks about his novel, THE TURNING.